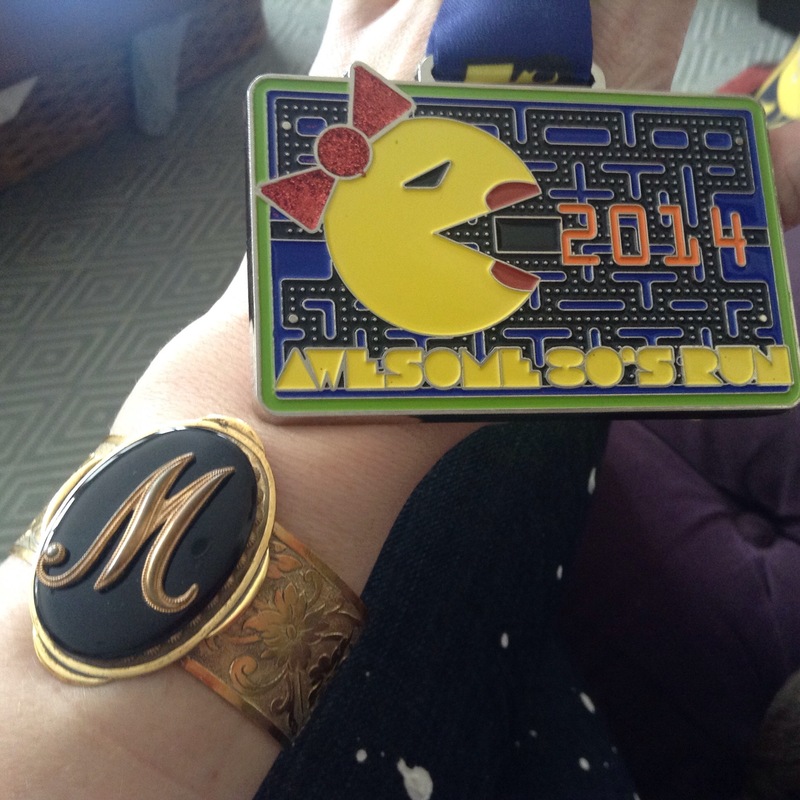 Today’s race medal: Ms. Pacman for the Awesome 80s 5k I ran this morning. Best race medal yet! You guys ready for the Very Bangled gift idea bonanza that starts tomorrow??? I am! That M cuff looks (lethal and) cute! Yeah! Well,actually gift *idea* bonanza. You ready for some TWD? I have 1 hour 15 minutes to go until the new episode! Yes! My body is always ready for TWD! !